The University of Ulster has received a ‘First Class Honours’ award in the People and Planet Green League Table for the second year running. The People and Planet Green League assesses the environmental and ethical performance of all universities annually, awarding first class ‘degrees’ to the most sustainable and a ‘fail’ to those doing the least to address their environmental and ethical impacts. 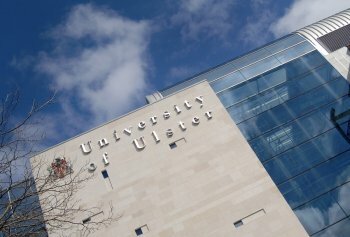 Ulster is among 46 universities to achieve a first class award in the 2012 Green League. The Green League rates universities on several key factors including environmental policy and management, curriculum, fair-trade and ethical procurement, and environmental performance in the areas of waste and recycling, energy and water consumption. Examples of key initiatives introduced by Ulster during the year include the commencement of embedding sustainability within teaching and learning programmes, energy efficiency measures including building insulation improvements, the upgrade of lighting and controls, and environmental audits to identify opportunities for improvement. Adrian Davis, Sustainability Manager at the University of Ulster, said: “Retaining the first class award this year is very pleasing particularly as the scoring criteria were more stringent. This demonstrates the University’s commitment to sustainability through continuous performance improvement in this important area. There is still much work to be done, and I would urge staff and students to engage with the various sustainability initiatives as they are brought forward." (1) Ulster is ranked joint 31st in the People and Planet Green League Table 2012.